Calculated Genius, a nonprofit organization, has pledged to donate $33,00 to the Young Women's Leadership Charter School (YWLCS) in Chicago, Illinois for STEM programming. Calculated Genius, a nonprofit organization founded in 2015 by engineer and entrepreneur Kimberly Moore to help underrepresented youth explore and connect to engineering by bridging gaps between education and application, has pledged to sponsor and support the inaugural year of STEM-based programming for the Young Women’s Leadership Charter School (YWLCS) in Chicago, Illinois. The $33,000 donation will cover costs of equipment and implementation of a “Principles of Engineering” course for YWLCS students in 9th-12th grades. 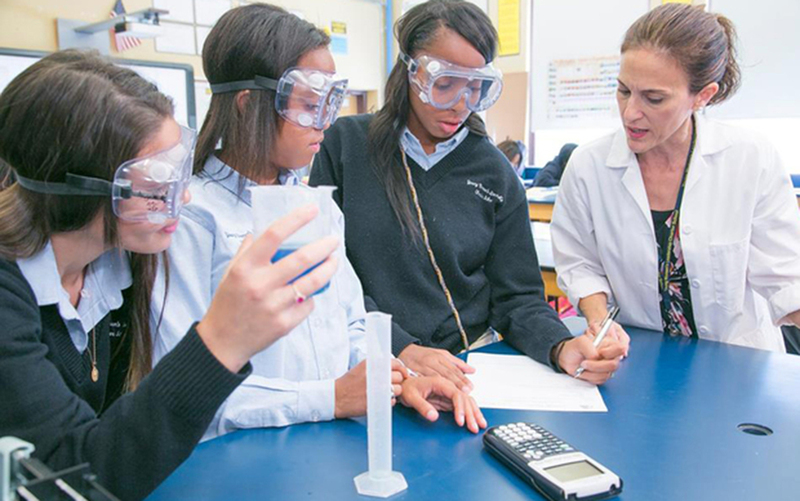 Developed by Project Lead the Way, a nonprofit organization that creates STEM curriculum, the new course offering will help to further the STEM-based intentions of the only all-girls STEM charter high school in Chicago. The donation marks the second major financial?contribution that Calculated Genius has made in support of STEM-based nonprofits. ?In 2017, they donated more than $50,000 in financial contributions and resources to Chicago-based STEM programs. “There is a growing and significant showing of women in STEM fields today, particularly in Chicago. Calculated Genius is committed to ensuring a path is laid for young women to be exposed to and excel in STEM fields to make even greater contributions. It is an honor to give back to our community in such an impactful way,” says Moore, the founder of Calculated Genius. A formal check presentation will occur at the 10th Annual “Girl Power” Event, hosted by YWLCS, which takes place at 11a.m. – 1p.m., Tuesday, April 3, 2018, at the Chicago Hilton Hotel, 720 S. Michigan Avenue. The event celebrates the achievements of the school’s talented young women along with more than 1000 influential corporate, community leaders and prominent women in STEM fields.